This post first appeared in The New Stack on November 27th, 2018. Cloud computing and open source are two big movements that are reshaping and continually disrupting the way we think about the relationship between vendors and consumers. It opened up the entire thinking behind even the most basic questions such as: What is the right business model? What is considered a product with value that is worth paying for? How much are we willing to accept vendor lock-in? Cloud computing brought a completely new and agile way of thinking about the vendor/consumer business model with the pay-as-you-grow model and SaaS. This model forced vendors to become more efficient and accurate with respect to how they deliver their software and think about the value behind their product. The world where the consumer was willing to pay for “shelfware” is long gone, as cloud has also empowered the consumer to be more sophisticated with the way they measure the value behind a product and make data-driven decisions. With open source, the picture is a bit more complex. Linux and many of the first open source projects started as a commoditization strategy i.e. providing a free or “cheap” alternative to what used to be expensive software. Today, many of the open source projects are the drivers of new innovation and often rely on substantial funding to keep them going. While many of these products come with a free edition, they use an open core strategy in which the cost for the software is in many cases as costly as any other non-open source products. So, what is the value of being an open source product if the cost is no longer the key driving force? That’s actually a great question. I was surprised myself to see that many of the investors that I have met over the course of the past year have been challenging me with that question and have raised lots of skepticism about whether there is even a viable business model behind open source (Red Hat is considered a unicorn on this respect). They had good reasons for that as they have been “burned” by investing in promising open source projects (OpenStack is one of the recent examples that came up frequently as a reference on this regard). Obviously, this got me thinking about this question quite deeply, and I came to a pretty simple realization. Open source changes the relationship between the vendor and the consumer from a relationship of mistrust and that of a passive consumer of a veritable “black box,” to a relationship of trust and partnership. Open source makes it possible for consumers to know exactly what they are getting before they buy the product, along with more ways to control the way they will consume a given product or shape it through code contribution, feature requests, etc. With non-open source technology, a consumer is dependent entirely on the vendor every step of the way. The “free” part in open source also allows consumers to choose when to pay for a given product based on their adoption stage, and value that they are getting from the product. Many open source companies will allow you to use their products completely free with the assumption that as you grow and get more substantial value from the product, you’ll need support and specific hardening, and this is where they will see monetization. So, in a nutshell, open source allows consumers to pay for products only when they feel that they are getting enough value from them or want to grow with the value. This post, however, is neither about open source principles nor cloud business models — but rather that nexus where they both meet and have changed and disrupted the entire way technology is now adopted as well as consumed. 2018 has been the year in which the key closed source companies have recognized that open source is not just a technology choice but plays a key role from a business value perspective: scale. Successful open source companies tend to scale much faster than closed source alternatives. The trust relationship that open source companies often have with their consumer also creates a higher degree of loyalty, and thus stickiness, which is one of the key factors that leads to that difference in scale when compared with non-open source alternatives. Non-open source companies have to battle for every deal and customer even within their existing customer base. With open source that process is quite different as, in many cases, the monetization process starts after the customer is already convinced and has been using the product for a while. Therefore, they would be much more receptive to moving forward quickly. How is that related to the topic of this post? Well, cloud is all about scale. Companies like Microsoft, and now IBM, have realized that we’re now in a land-grabbing war. If they can’t build a fast-growing, scalable engine they will lose the battle to AWS. When you think about it in those terms it now makes perfect sense why Microsoft and IBM were willing to pay such substantial amounts for the Github and Red Hat deals. The cost of losing the war to AWS is far higher than the cost of those deals. What’s interesting in the Salesforce acquisition of Mulesoft is that it shows that this realization applies also to companies that were “born in the cloud” and not just legacy vendors. 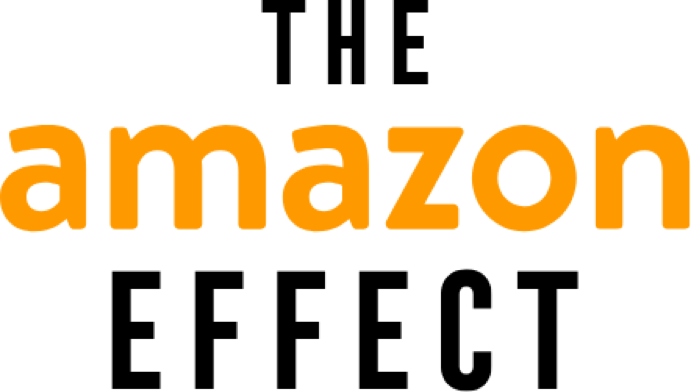 The Amazon effect on open source companies is actually quite interesting as it is indicative of the mutual effect that cloud, and open source have on each other. In the opening of this post, I described the key assumption behind the business model of open source. The key assumption is that the monetization often takes place when you make serious use of the product. When Amazon started to provide managed offering of specific open source products, they were breaking right into the middle of this assumption. In other words, by offering a managed service for a product they didn’t develop, Amazon “steals” the fruit of monetization without having to carry the cost and investment of the actual development of the product. That broke the entire “trust system” that stood behind many of the open source models. Open source companies such as MongoDB and Redis had to respond by taking a defensive move that eventually make their product less open. That defensive move damaged the most sensitive aspect, trust, between consumers and open source providers creating a negative effect on the industry as a whole. So, the question comes back to, what should the right relationship between open source and cloud providers look like? 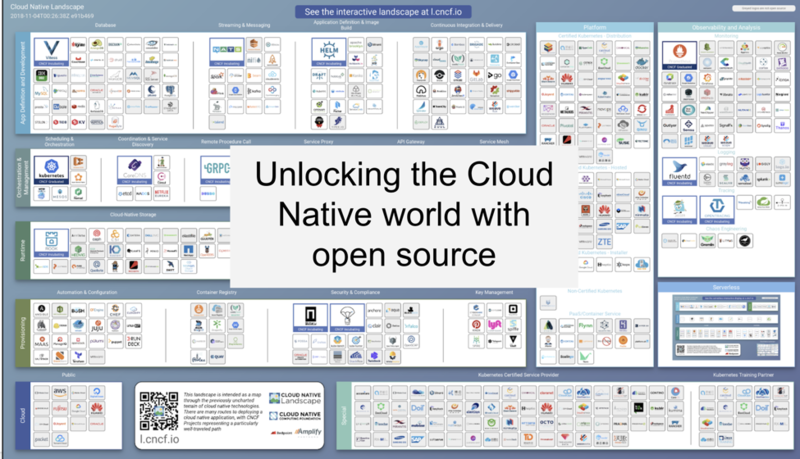 As I was working on my keynote session for our first Cloud Native Days Tel Avivconference, the picture became clearer. While cloud providers like Amazon are abusing open source products to their benefit, even at the cost of harming the open source community, other cloud vendors are seeing that as a weakness and therefore look at open source as an opportunity to break the current AWS monopoly and win more cloud business by demonstrating a “non lock-in” strategy with open source. Google was the first to realize this with the launch of Kubernetes as an open source project. Kubernetes shows how a cloud provider (Google in this case) can take an active role in driving and contributing to open source projects, even at the risk of cannibalizing itself, by allowing other providers to offer the same offering and compete on the same stack. That raises the question — what’s in it for Google? The answer is actually pretty straightforward and is as true in a pre-cloud world as in a post-cloud world. It’s the same strategy that helped Google beat Apple in the smartphone business — launching Android as an open alternative to iOS. Taking the open source route is an effective strategy to win the hearts and minds of developers. Kubernetes is a great success, and part of the reason for its success is because it’s not bound to a particular cloud provider. With that move, Google is winning the hearts and minds of developers, by not locking them into its platform. Google is creating a trust system with the developer community by making Kubernetes a great place to be, and part of the reason it’s such a great place is that they are invested heavily in contributing back to the platform. What’s interesting to note about the cloud native ecosystem is that it helps balance the relationship between cloud providers and the consumer. Rather than competing on delivering a proprietary stack for each cloud provider, cloud providers compete for whoever has a better “home” to host this cloud native stack. Coming back to the Android analogy, the Android community was also quite effective in driving the iOS roadmap and features, which were indirectly influenced by the competition with Android, and probably had a much stronger impact than any alternative. Similarly, I believe that the Kubernetes ecosystem will shape, directly and indirectly, how AWS will deliver its own services. The Microsoft acquisition of Github and recent IBM acquisition of Redhat, as well as the smaller VMware acquisition of Heptio, follow a similar line of thought. Unlike Google, they took a shortcut of buying their way to the developers through a set of acquisitions. It remains to be seen whether this will lead to similar success. A large part of that depends on how much the big players understand the delicate trust system behind open source and how much they will maintain this trust system in their entire operation. The size of the investments, specifically from Microsoft and IBM, is an indication that open source is a strategic move, so I tend to believe that they will work hard to make it a success. Over the years there has been an ongoing debate whether or not open source has an important role in the cloud era, where software is often delivered as a service. The business model behind open source was also challenged due to the high failure rate of many companies as well as the monetization threat on strategy by Amazon. To me, 2018 will be remembered as open source’s breakthrough year. It is the year in which open source companies were able to prove their business valuebeyond a shadow of a doubt. It is the year in which open source companies went public and were valued substantially higher than other non-open source equivalents. It is the year where major non-open source companies like Microsoft, IBM, and VMware, who have always had an ambiguous relationship with open source, joined the open source camp in full force. It is the year where the biggest software acquisition deal was made for a company whose entire business model is built around open source. It is also the year in which open source is forcing all major cloud providers to finally agree on a common platform for delivering and managing applications, which is clearly backed by real numbers as can be seen in the recent Linux Foundation survey. 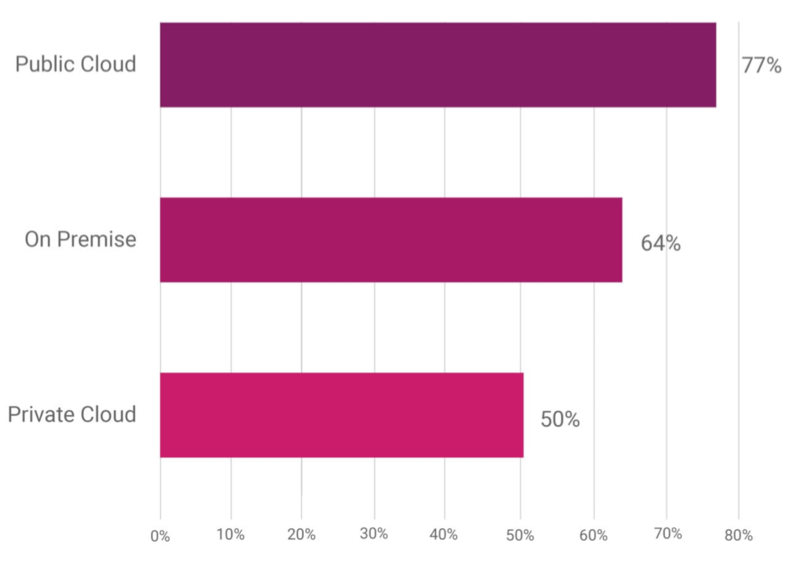 It is the year in which we’ve seen that production usage of Cloud Native Computing Foundation projects has grown more than 200 percent, meaning cloud native technologies, according to the survey. So, is there a viable business model behind open source (in the post-cloud era)? Hell yeah!